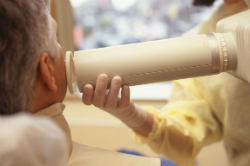 Call 252-364-3280 for Expert and Effective Oral Surgical Procedures. 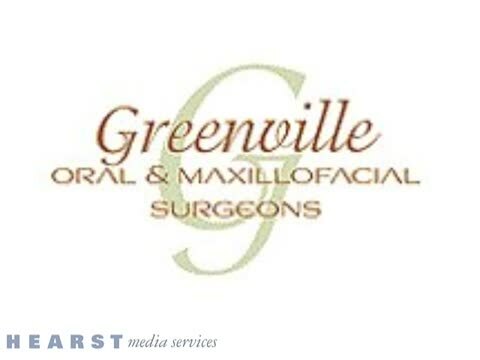 Greenville Oral & Maxillofacial Surgery has been providing expert and professional oral surgery procedures to the residents of Greenville, NC & Wilson, NC and the surrounding areas for more than 30 years. While it is never a good thing to hear that you require surgery, you can take solace in knowing that you’re in good hands when you choose us. Dr. Theodore G. Muchiteni provides a full range of maxillofacial and oral surgeries, including dental implant surgery, wisdom teeth removal, and jaw fracture repair. If you are in the area, and need oral surgery or need to get examined and diagnosed, then call on Greenville Oral & Maxillofacial Surgeons. We are proud to offer so many great services and help our patients achieve the best results we can with our oral surgery work! Dr. Muchiteni is fully dedicated to both the comfort and dental health of each and every one of his patients. Our expert and friendly staff can also both diagnose and treat facial pain, injuries, and fractures. We understand that many people are not exactly thrilled about a dental cleaning appointment, let alone an oral surgical procedure. Don’t worry! Our staff provides both effective outpatient general anesthesia and sedation dentistry to help you relax. We also continuously monitor you throughout the entire process. Furthermore, we will always recommend the least invasive technique that still maintains effectiveness. Whether you’re seeking to restore those missing teeth with dental implants, or have suffered a traumatic facial injury, the staff at Greenville Oral & Maxillofacial Surgery is here to help you. We can expertly handle dental implants, bone grafting, wisdom teeth removal, impacted canines, facial trauma, and oral pathology. The members of our surgical assistant team possess their respective certifications in dental X-ray imaging and basic life support. Some of them have also done the anesthesia assistants course offered by the American Association of Oral and Maxillofacial Surgeons. We are also very knowledgeable when it comes to dealing with insurance companies and accept most major plans. Since we’re up to date with the industry, we can maximize the reimbursements you receive from your insurance company for dental procedures. Dental Implants For The Wilson & Greenville, NC Areas! Missing teeth can cause some to hide their smiles and feel embarrassed about them. Dental implants can restore not only your smile, but also your self-confidence. Dental implants are surgical procedures where metal anchors are implanted into the gums. These anchors secure the new tooth to ensure the new implant is as strong as a normal tooth. No more worrying about whether or not you can enjoy a favorite food. You can once again live your life to its fullest when you get our dental implants. Visit our website to learn more about dental implants and how you can benefit from getting your own! We proudly serve the people in Wilson & Greenville, NC with dental implants! 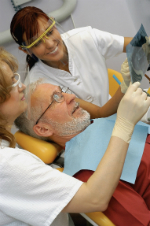 We provide comprehensive dental services for patients in Wilson, NC and the surrounding areas. We own a state-of-the-art facility that is equipped with the latest diagnostic tools. 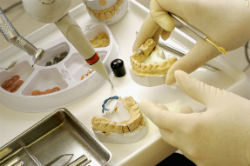 We use modern treatment and techniques to provide world-class dental care for patients of all ages. Our services include oral surgery, dental implants, wisdom teeth extraction, bone grafting, and more. If you need dental restorative services, we can help you find out if dental implants can be the best option for you. Call us for an appointment. Wisdom Teeth Removal For The Wilson & Greenville, NC area! Having your wisdom teeth removed puts an end to the age-old problem of “too much teeth, too little mouth.” Failure to remove wisdom teeth, the final teeth to come up in the rear of the mouth, can lead to their growing sideways, partially emerging from the gum, or becoming trapped beneath it. Visit our website to learn more about our wisdom teeth extractions! Wisdom teeth emerge much later than the rest of the adult teeth, and they can be difficult to detect without regular dental examinations and X-ray imaging at our office in Wilson, NC. While the removal of wisdom teeth is the most well-known type of oral surgery, there are many reasons why oral surgery may be required. Repairing or treating serious conditions affecting a patient's teeth or for alleviating problems due to obstructed sleep apnea, infections, or facial pain. While no one will probably ever say that they enjoy oral surgery, we here at Greenville Oral & Maxillofacial Surgery will do everything we can to make the experience as personal, easy, and stress-free as possible. Our office is located at 2300 Hemby Lane in Greenville, NC near Wilson. We are open from 8 a.m. to 5 p.m. Monday through Thursday and from 8 a.m. to 1 p.m. Friday. We always do our best to see emergency patients on the same day. We understand your time is very valuable, so we also always do our best to stay on schedule so you aren’t waiting long in the office. Call 252-364-3280 to schedule an appointment. You may also feel free to read more about each of our services and procedures, as well as presentations about dental implants, wisdom teeth, and jaw surgery on our website.